Ada pertanyaan untuk Ocean Centre Hotel? Baik Anda turis maupun dalam perjalanan bisnis, Ocean Centre Hotel adalah pilihan akomodasi yang tepat ketika mengunjungi Geraldton. Terletak hanya 2.6 km dari kehebohan pusat kota, hotel bintang 4 ini memiliki lokasi yang bagus dan menyediakan akses ke obyek wisata terbesar di kota ini. Dengan lokasinya yang strategis, hotel ini menawarkan akses mudah ke destinasi yang wajib dikunjungi di kota ini. Ocean Centre Hotel menawarkan pelayanan sempurna dan segala fasilitas penting untuk memanjakan para wisatawan. Para tamu hotel ini dapat menikmati fasilitas di tempat seperti WiFi gratis di semua kamar, check-in/check-out cepat, penyimpanan barang, Wi-fi di tempat umum, tempat parkir mobil. Sebagai tambahan, semua kamar tamu memiliki sejumlah kenyamanan seperti televisi layar datar, akses internet WiFi (gratis), kamar bebas asap rokok, AC, penghangat ruangan untuk menyenangkan semua tamu. Disamping itu, hotel memiliki berbagai pilihan fasilitas rekreasi yang menjamin Anda melakukan bermacam hal selama menginap. 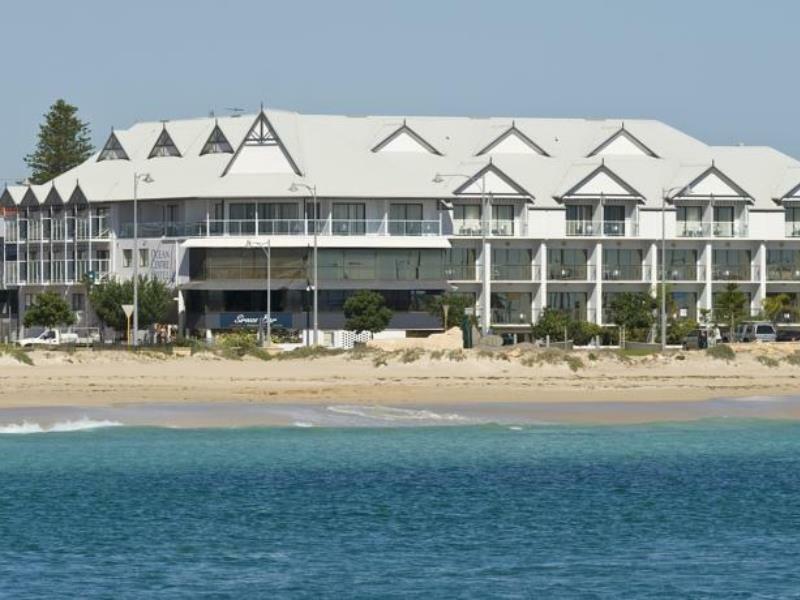 Ketika Anda mencari penginapan yang nyaman di Geraldton, jadikanlah Ocean Centre Hotel rumah Anda ketika Anda berlibur. Promo picture looks like you are really got on the water but there is a park and busy road in between. And then I got a room out the back looking down on the carpark. Could have got a similar room with a similarly poor vista in another hotel for a much cheaper price. The room was great - nice modern fittings and a really comfortable bed. I was also impressed with the design of the curtains - having not seen that style before. They are difficult to describe but the end result is that they exclude 100% of the light when they are drawn closed - I was impressed. We really enjoyed our night there. Only one criticism - could not get any food delivered from any restaurant after 9pm on a Sat night - despite them all saying they were 'open till late". This year I have had to travel extensively to regional towns. My work is for the government and is always booked in from Sunday to Friday, but sometimes my work is completed sooner than expected, which is something out of my control. Agoda has always been able to refund the days I no longer need, with the agreement of the hotel, EXCEPT this hotel. They refused. I can understand this attitude if a hotel is fully booked and they have turned people away, but that was not the case. At the end of the day I am not out of pocket, because the government pays, but it is still public money. 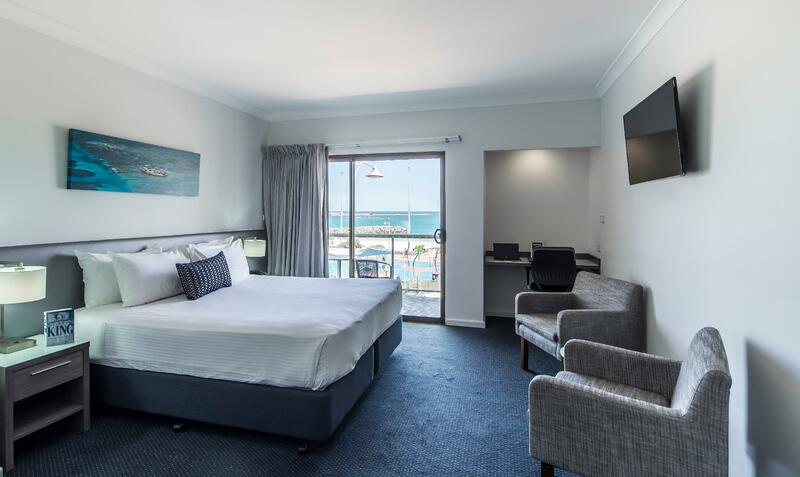 My advice - book another Geraldton hotel if there is a possibility you will need to check out early. There are lots of nice ones. Have stayed here 4 or 5 times always consistently good...staff lovely and beds are very comfortable..
Great location..Sirrocco bar good..lovely staff. The view of the ocean from our room made for a very relaxing time as we sat on the balcony. It was a pity that there was a man on the foreshore using a whipper sniper before 7am, very loud !! Completely spoiled the mornings clam !!! A pity if you want to have a sleep in !!!! I found the bed to be very hard !! Not at all comfortable to sleep in!! The most comfortable bed ,linen and pillows ever. The fridge is well stocked and well layed out simple room and furniture. Could not fault it. View of ocean blocked by plants. Prune the plants so it's nice to have unobstructed view sitting at balcony of Room 202. We were firstly assigned a delux room on ground floor, which looked like a basement more than a hotel room. Then we asked to chang to 3rd floor which is better and brighter, unexpectedly we had a broken light on ceiling and bed side lamp in our room, we just got stand lamp and table lamp for us. Also the mattress is as old as my nanny’s, with decade old blanket to made us lost sleep on that night. As a getaway spot, this was not a bad place. 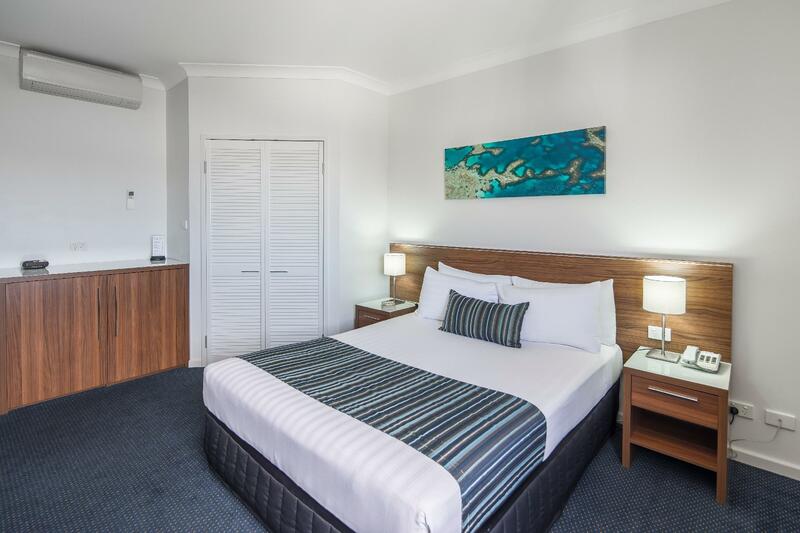 Clean, located right in the heart of Gero. Pity we were there on a weekend and not much opens beyond 5pm on Fri in Gero. But as a biz hotel, yes. All good. We wouldn't stay here again. We were located right beside the reception area. It was quite noisy during the day and night. The room was well appointed but the bathroom was a bit dated and had no exhaust fan. We couldn't open the blinds because our window was right at street level, so we had no natural light. The biggest gripe though was the parking. When we arrived we were told there was limited parking and we would need to rush to secure a spot, otherwise we'd have to park up the street. The parking that was available was incredibly cramped. In an attempt to park our car we hit a concrete pylon and scraped our brand new vehicle. It's ridiculous that such a huge hotel would have such terrible parking conditions. Parking on the street with a car full of our travel gear was not safe. Exhausted and stressed out, we ordered room service. The curries were old and cold - really disappointing for the price. The whole experience soured our holiday. We wouldn't stay there again. 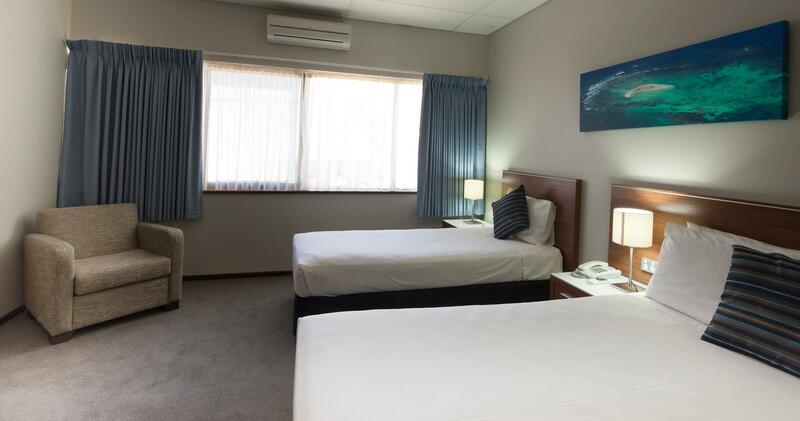 Well positioned, clean and comfortable with friendly staff. Hotel is close to many restaurants and shops. Easy walking distance. 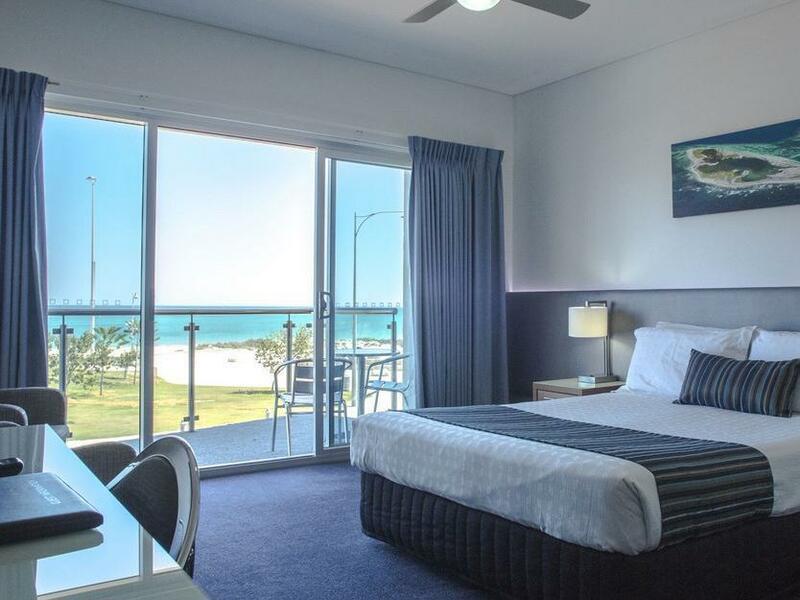 The Geraldton Inernational Airport is about 20-minutes away by taxi. Rush hour traffic is not too bad, but allow yourself about 3-hours for any flights.